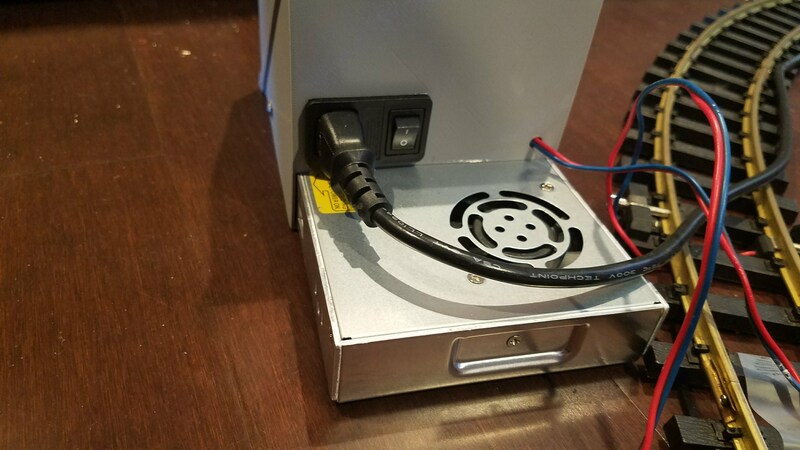 The old power supply was labeled as creating 19VDC so I tried using a laptop supply, which worked but couldn’t quite handle the current all the time. 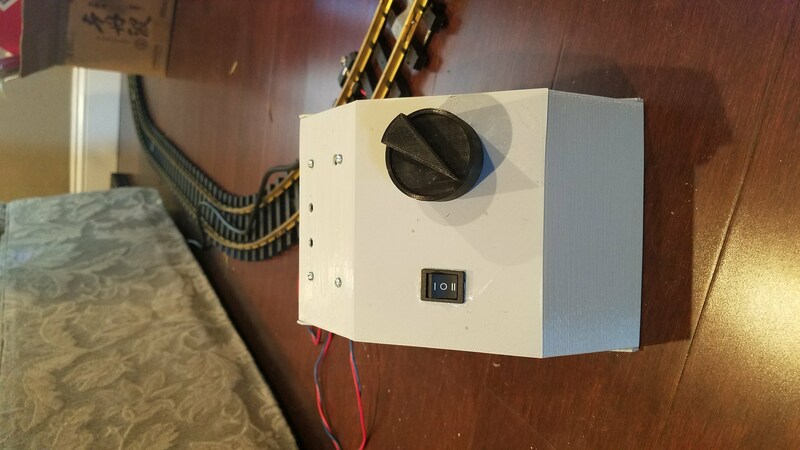 It would trip an internal breaker and the train would start and stop. 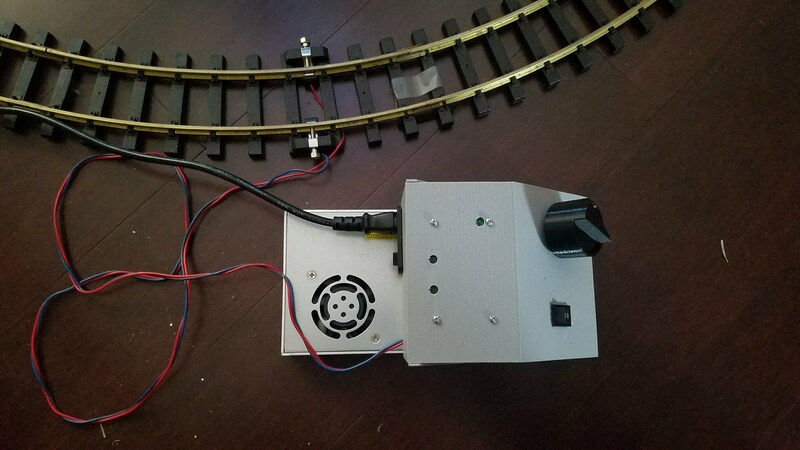 A couple of times it got through the starting current and ran the train. 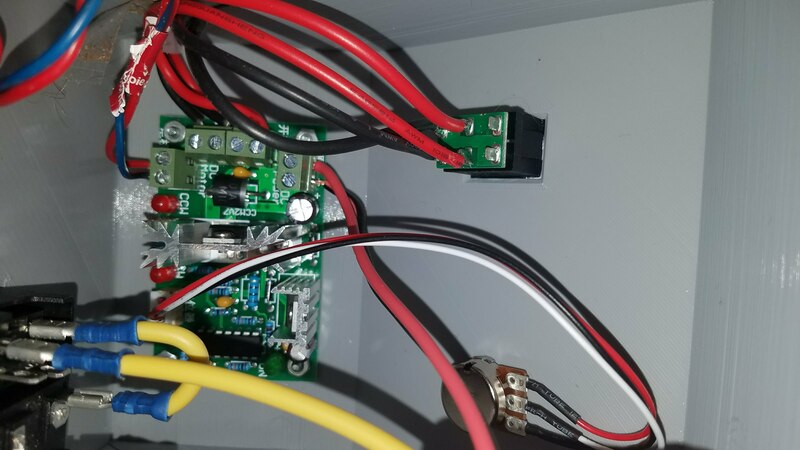 I think the control was also bad so it may have been a fine solution for the power supply. 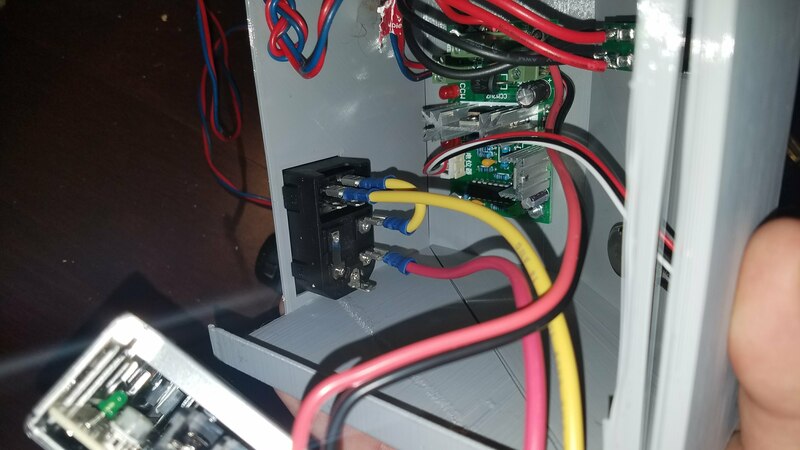 The main controller is a $10 DC PWM motor controller from amazon with a reversing switch, rated for 3A continuous (4A max) which is a bit low but it’s working great. 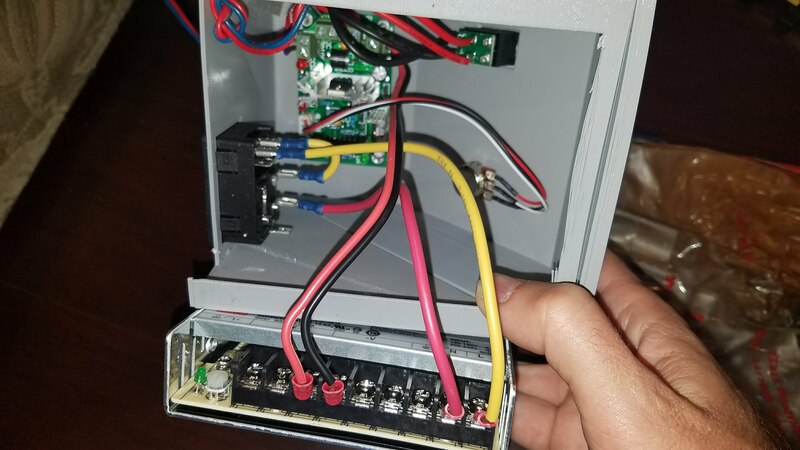 A high-current 24V supply: Mean Well LRS-350-24. 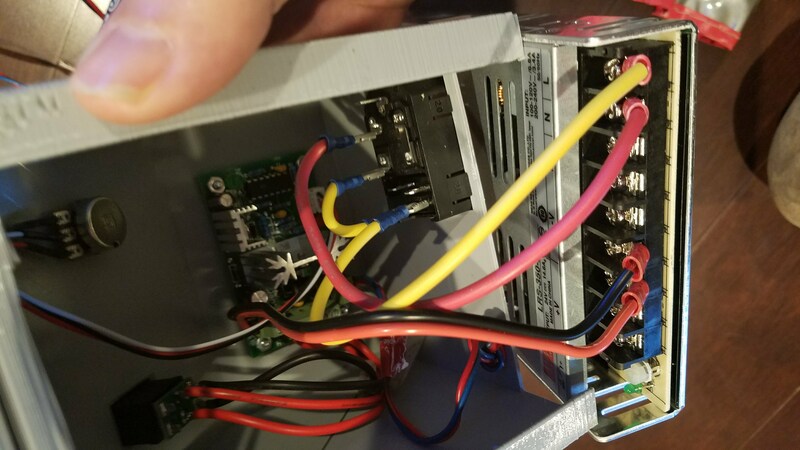 This can put out 14.6A which is overkill, but I have one of these on my 3D printer and was able to verify that it worked so I just bought another one. 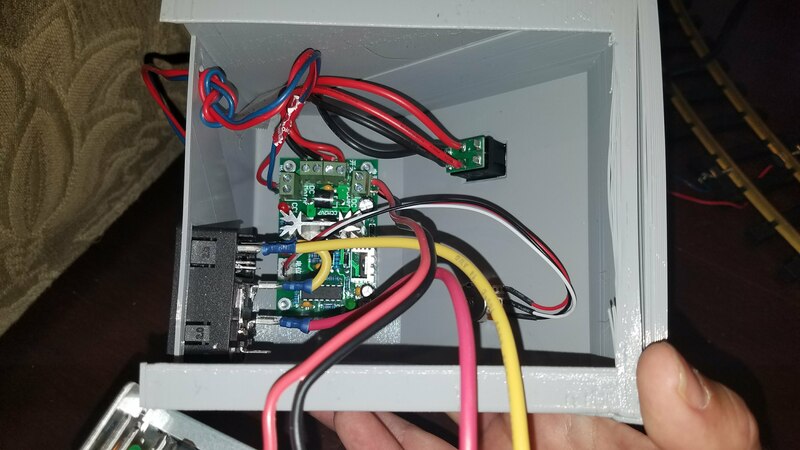 I designed an enclosure and knob to complete the project. 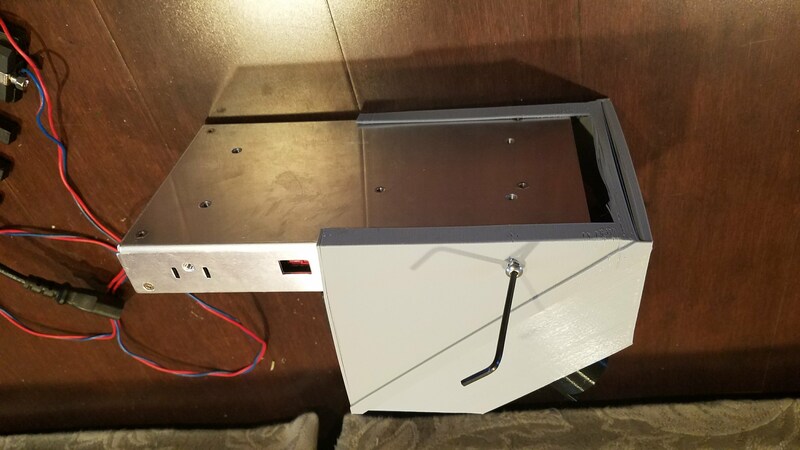 The enclosure I 3D printed, although I made it so thin that it warped and was very troublesome to print- maybe a wooden or acrylic box would be better since it is all flat sides. The knob worked great though. I left holes in the top of the box for the controller LEDs to shine through, but in order for this to work I would have to remove the LEDs and put them through the other way and I haven’t done this yet. 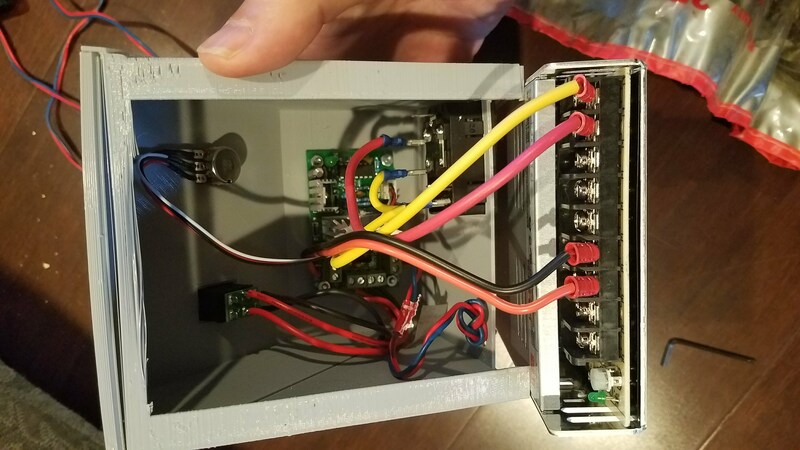 The enclosure holds all the parts and keeps the AC voltage away from everyone’s fingers. 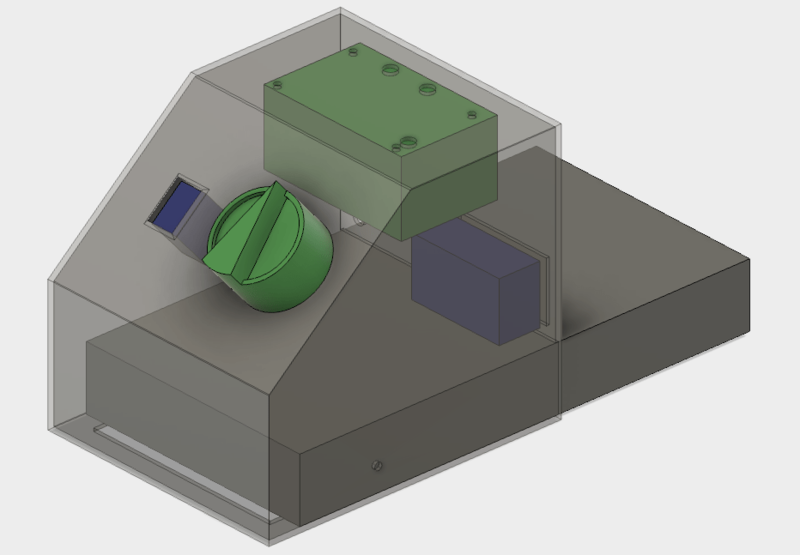 Here are files for the design in various formats: STL (box and knob) and Fusion 360 Archive. 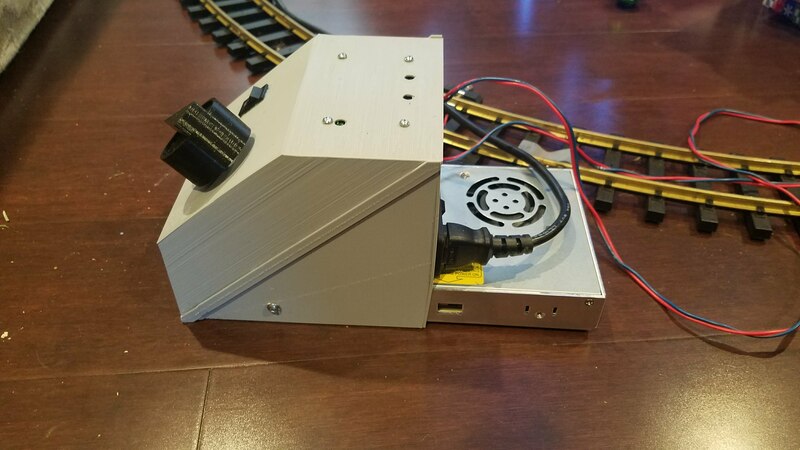 All in this zip file: train control. I printed the enclosure with the slanted face down so it would be smoothest and the other faces are 45 degrees so no supports are needed. My print failed halfway though and so I cut the box in half, printed the other half, and glued them together. You can find those pieces in the Fusion 360 file. 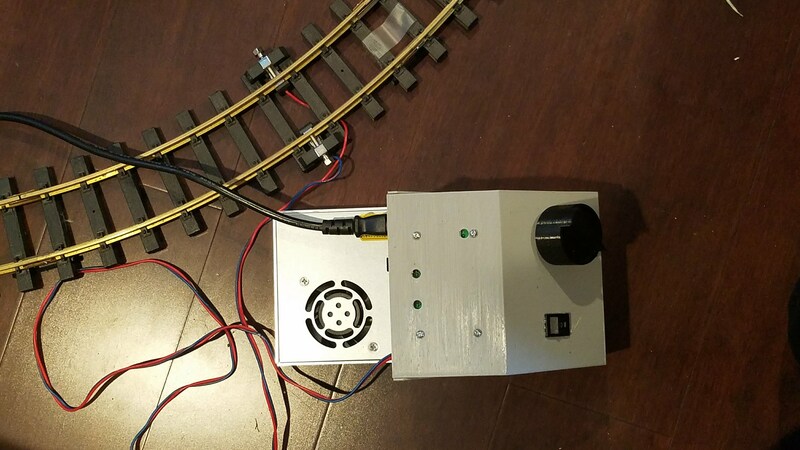 Last, here are some photos of the train control for reference. Previous Previous post: Internet of Coffee! Next Next post: ESP8266 NodeMCU (Arduino compiler) Pins. Now with WeMos D1 Mini!